If you always spending hours cleaning your home, wishing you could reduce the time, then you might consider speed cleaning. It is not about detailed cleaning but making the home look cleaner in a short time frame. Cleaning at a faster pace is a great way to burn more calories than if you vacuumed or dusted slowly. This is a great way to help you lose a few extra pounds because you are using your muscles and you are building strength into your body too. It also means that you can finish the job in a quicker time, it can lack the higher of standard of cleaning but it will have removed the worst of the dirt and this can make for easier cleaning. The more that you speed clean the easier it is to get the home clean and tidy, this is a great option if you just want to give the house a once over if you are expecting any guests. It is a great way to see how much you can accomplish in a short amount of time, often giving you the motivation to do even more. You really don’t need to spend hours cleaning, short ten to fifteen minute bursts of cleaning can make a real difference in getting your home clean. It is not the time, but the time you imagine the task will take; often, this is unrealistic and is often the excuse for not tackling some jobs. A task can feel too big to manage and it can put you off from completing the task because it feels that you haven’t the time to do it. Often this lack of desire to complete the task becomes overwhelming and can stop you from even attempting. If you plan to have a speed cleaning session it is often a great idea to set a timer, like the Flylady suggests; this a great motivational tool, but it allows a defined end to the task even if you are not finished, it doesn’t matter because you have made a start. 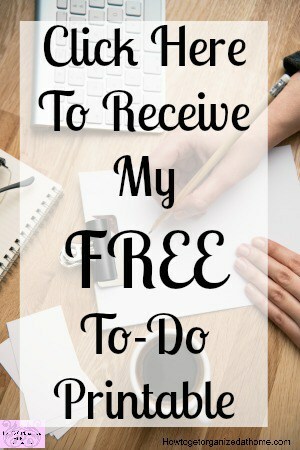 Sometimes not wanting to do a task is about how boring the task is, if you dislike the task and always put at the bottom of your to do list, this could be the reason you hate it because it gets too bad to tackle. Instead, always fill the to do list with the jobs you hate the most at the top, it will then make the day more enjoyable because you have tackled the hated job and it will give you a sense of pride. There are reasons why you hate to clean or clean certain items; this is why speed cleaning is great; it reduces this task down to the shortest time possible. Giving you even more time to do the things that you want, rather than the things that you must, do. Therefore, try speed cleaning to give yourself more time, a better work out and not allowing a cleaning task to become overwhelming.